The federal government has decided not to scrap its troubled purchase of CH-148 Cyclone helicopters. Instead, Ottawa will go ahead with its plan to acquire maritime choppers to replace the decades-old CH-124 Sea Kings, which it will start retiring next year. 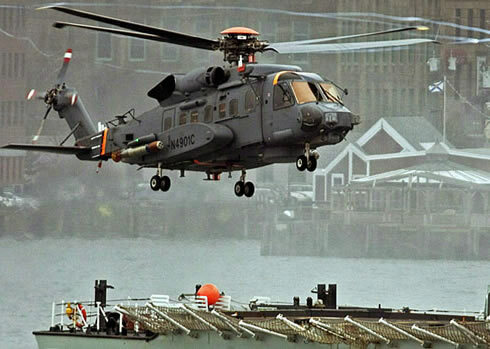 The plan to replace the 50-year-old Sea Kings — which fly from the decks of Canadian warships — is years behind schedule, billions of dollars over budget and apparently beset with technical glitches. Earlier this fall, the Public Works Department indicated it was looking at other aircraft because Cyclone manufacturer Sikorsky had delivered just four test aircraft, which National Defence has refused to formally accept.